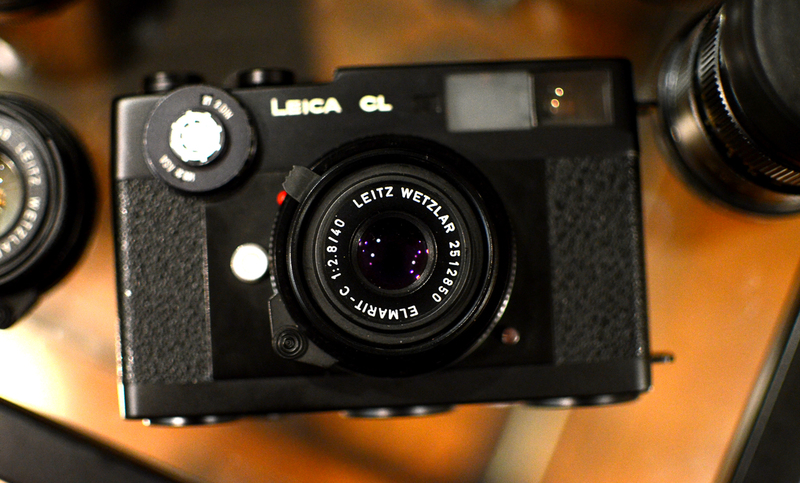 The Leitz Elmarit-C 40mm f2.8 is a peculiar lens in the history of Leica optics. Leitz intended the Elmarit-C to be paired with the Leica CL, itself a joint venture with Minolta that was to produce the compact “Baby M” Leica CL and Leitz Minolta CL, the same camera offered by both companies with differing engravings, between 1973 and 1976. The bodies themselves, be they labelled Leica or Minolta, were to be designed by Leitz and built by Minolta in Japan. Leitz, pulling rank with their reputation as the premium optical manufacturer, were tasked with designing the optics for both the German and Japanese iterations of the camera. Designed by Leitz, the lenses themselves were to be built by each company to identical spec, either in Germany for the Leica or in Japan for the Leitz Minolta. Leitz designed and proposed the Elmarit-C 40mm 2.8 as the standard lens. Minolta, upon receiving the prototype, came to the awkward conclusion that the lens was a dog, not up to Minolta standards, and requested Leitz to submit a redesign. Leitz reconsidered, recalibrated, and submitted the Summicron-C 40mm f2, a wonderful lens that holds its own to this day. The barrel design of the Elmarit-C is similar to the Summicron-C 40mm f2 but is shorter in length, making focus and aperture setting even more difficult than it is on the Summicron. To fix this the Elmarit-C 40mm f2.8 featured a tab for both the focusing and aperture ring. The lens also stopped down to f22, unusual for a Leitz designed lens. Aside from that it was pretty much the same lens as the Summicron-C except for its optical quality. The lens is soft close up at any aperture but becomes less noticeable at further distances when stopped down to f5.6 or slower. Contrast is also very low wide open. The change from the Elmarit to the Summicron happened so late in production that about 400 examples of the slower Elmarit-C f2.8 lens had already been manufactured by Leitz; stuck with them, Leitz gave them to their employees. Infrequently one will appear on the collectors’ market, a rare and unusual piece of Leica history. That doesn’t mean you should buy one. It is, by all accounts, a terrible lens optically. If you are looking for a compact 40mm M mount lens to use, the standard CL Summicron-C 40mm f2 lens is just fine, as is the faster Voigtlander Nokton 40mm f1.4 for about the same price. The only reason to get the Elmarit-C 40mm f2.8 lens is if you are a collector. It was never offered commercially, making it catnip for Leica collectors as it is obscure, hard to find and no one knows precisely how many exist. Other than wanting it to sit nicely on your display case there is no reason to put it on a camera. Even Minolta agrees. This entry was posted in Film photography, Leica, Leica Camera, Leica CL, Leica Film camera, Leica History, Leitz Lenses and tagged Elmar-C 40mm 2.8 on December 15, 2015 by Leicaphila.